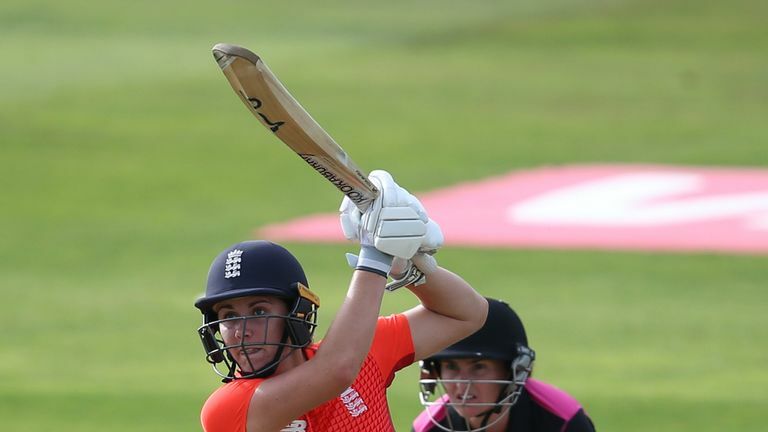 England will begin their bid for ICC Women's World Twenty20 glory against Sri Lanka - and you can watch every ball live on Sky Sports! Heather Knight's side, the reigning 50-over World Cup champions, will also play hosts Windies, South Africa and Bangladesh in Group A of a tournament they won in 2009. Meanwhile, three-time champions Australia - beaten by Windies in the 2016 final in Kolkata - will face India, New Zealand, Pakistan and Ireland. Do not miss a ball on Sky Sports Cricket and across our digital platforms as we bring you comprehensive live action of the tournament. Check out our live coverage on Sky Sports Cricket with our schedule below. Click here for Sky Sports' cricket listings in full. Live coverage on Sky Sports Cricket: Watch every ball live on channel 404 in the company of our punditry team. Sky Go: Stay with the live action online, on iPhone, iPad or selected Android smartphones with the Sky Go app. Highlights: After each England match - as well as the semi-finals and final - we'll bring you the very best of the action. Now TV: Don't miss out on the drama - watch Sky Sports without a contract by buying a NowTV pass for a day, week or month. The choice is yours! Twitter and Facebook: Follow @SkyCricket for score updates, build-up and reaction videos with our pundits, plus check out our Facebook Lives as we talk cricket and more! Sky Q: The best of our video content showcased on our next generation box, which can record and store more than before and even save recordings to your devices to watch when you're out and about. Sky Q customers can also use the Sky Sports News app to get scorecards and video clips as well as catching up with highlights via the red button.